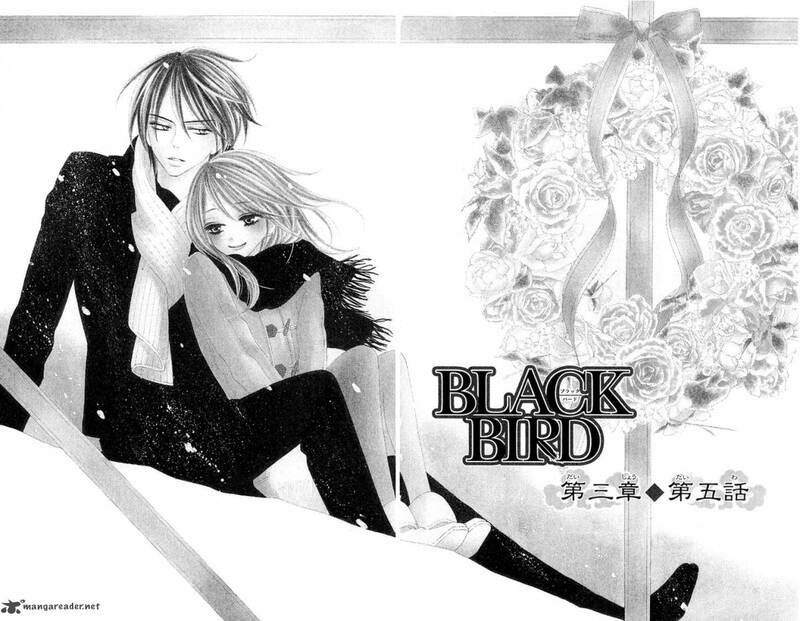 Black Bird is a manga that on first sight is exciting and holds a lot of potential. Though Personally, I didn't enjoy this manga too much... yet I continued to read it. 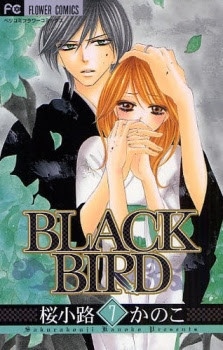 Black Bird (Kanoko Sakurakoji) centers on the ‘be cruel to be kind’ relationship between Tengu demon Kyo and teenager Misao who has a knack for seeing, and is a magnet for, monsters. Despite the age and mortality differences, the pair are deeply in love but there is a deeper twist to this unorthodox relationship; Misao’s blood has the power to completely empower or destory a demon. In other words, the plot follows Kyo as he’s torn between fighting off monsters wanting Misao’s intoxicating blood and resisting the urge to ravage her himself. The main thing this manga gets right is indulging its readers in the forbidden love aspect. 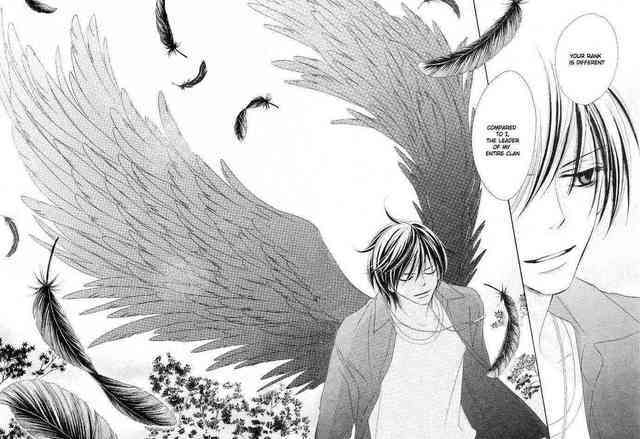 Kyo is portrayed as a perverted, occasionally romantic, demon but with a very human protective side. He is shown through Misao’s eyes who is enchanted by the Tengu world but yearns for her innocent schoolgirl days. Whilst one scene shows the two arguing over their enormous differences, the next will show them in a passionate embrace. But in all honesty, neither the plot nor the character development is especially bad. Actually, they are a cut above average. The plot, as least as far as the first volume is concerned, is well paced and entertaining, and the characters are endearing in the best tradition of pulp fiction. Kyo, we learn, has admirable self-restraint, and his unwavering devotion to Misao comes flapping straight out of a teenage girl's wish fulfillment fantasy. By the end of the first volume, she even has a (supposedly, since this manga is in black and white) silver-haired kitsune who is competing with Kyo for her affections, and he seems like he could be an interesting character as well. There is even a good bit of humor in the form of Kyo's child servant—and of course the fact that Kyo is also masquerading, again in great pulpy manga tradition, as Misao's homeroom teacher. 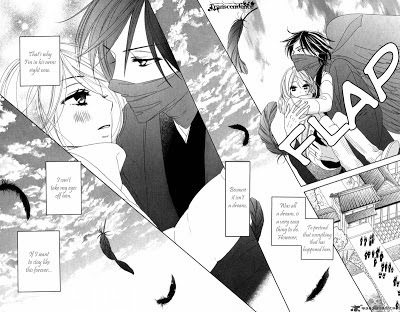 The artwork is about average for shoujo manga of this sort. The cover illustration for the first volume is truth in advertising and should give you a good idea of what to expect from the interior pages. 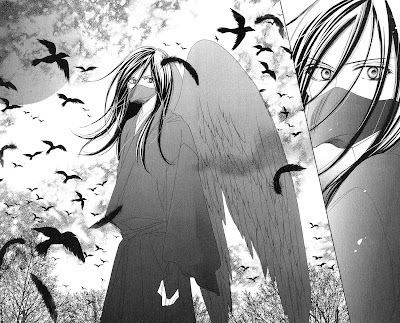 Sakurakoji draws female characters a bit like josei mangaka, but her bishounen are all shoujo manga all the time. Too bad that they tend to look cross-eyed from some angles—it is definitely not a flattering look for a demon specializing in seduction. All in all, this is not a bad series and does very well what it was intended to do. It should appeal to the Vampire Knight crowd, particularly to those tween readers who are looking to age up into something just a touch more racy. Is Miley Cyrus' married to Liam Hemsworth?